Kanjizai Academy is the premier studio in the Towson, Lutherville, Timonium, and Baltimore area for practical self-defense training. 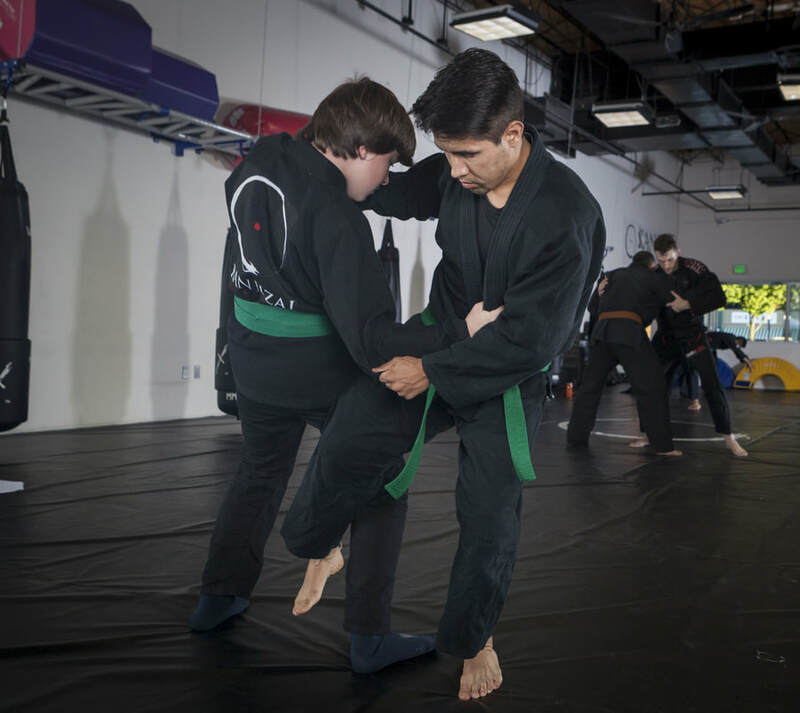 At Kanjizai, the traditional Japanese art of Jiu-Jitsu is taught alongside the modern art of Gracie Jiu-Jitsu to give students the most practical, useful means of self-defense available. The unique cross-training opportunities found at Kanjizai give students the many tools necessary to handle the diverse and varied threats encountered in the real world. The warriors of feudal Japan are regarded as some of the most efficient and sophisticated combatants the world has ever known. Steeped in mystical undercurrents, these paradoxical men managed to balance ruthless combative efficiency with a highly evolved spirituality. The word "Samurai" itself means "those who serve," and these legendary warriors were renowned for their honor, loyalty, and commitment to the cultivation of martial skill. Hundreds of years of war produced countless schools of battlefield arts, eventually coming to be known collectively as Ju-Jutsu (more commonly spelled "Jiu-Jitsu" in the modern age). When the modest and solitary mountain priests and simple farmers of the Iga and Koga regions were forced to protect themselves against an oppressive and ruthless ruling class, the infamous and mysterious arts of Ninpo began to evolve. These men, originally known as Yamabushi and Shinobi no Mono, came to be known as "Ninja" only in the modern age. Despite being renowned warriors, they preferred to operate in anonymity, forgoing the fame and glory sought by most of their Samurai contemporaries. Their rigorous meditative and physical conditioning practices produced such incredible feats of skill that they became legends in their own age, sought by all great military commanders of their time. Kanjizai's instructors have trained under Grandmasters and top-level Jiu-Jitsu teachers from many styles, both traditional and modern. Jiu-Jitsu is arguably the most widely practiced martial art in the world today. Despite the popularity of competitive Jiu-Jitsu and MMA, the art was created for the purpose of self-defense. Grandmaster Helio Gracie was only 140 pounds when he created the modern art of Gracie Jiu-Jitsu. After training in traditional Ju-Jutsu and Judo with his stronger, more athletic brother, Carlos, he felt the techniques needed to be adapted to suit his weaker stature. Kanjizai's Combat Fitness classes are designed to give participants the physical conditioning necessary to push their fitness levels to new heights. 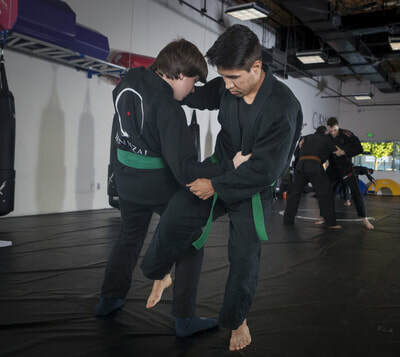 Jiu-Jitsu students can take their martial arts ​performance to the next level, while Combat Fitness members can focus on losing weight, gaining lean muscle, and improving their cardio. Each 30 minute workout features a HIIT Circuit (High Intensity Interval Training) focused on developing functional strength, speed, endurance and flexibility. Each exercise in a Combat Fitness workout is scalable, so beginners and veterans can both see gains at their own unique fitness levels. 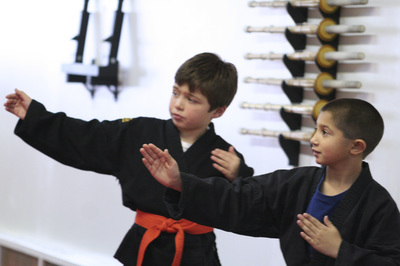 Combat Fitness classes are open to all Adult martial arts students, parents, and Combat Fitness members.